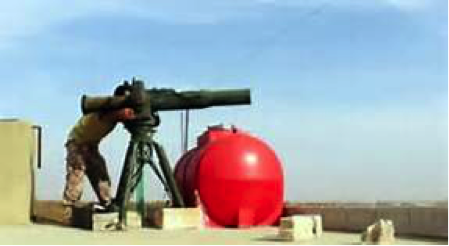 The use of TOW missiles by rebel forces in Syria is generally considered to have been a game changer in the Syrian war, and has come to play a central role in rebel propaganda. Multiple cameramen are embedded with TOW crews, all firings of TOW missiles are filmed, successful hits are reported by the pro-rebel media, and videos are published online. One Lebanese commentator has even gone as far as to cite the well-publicized rebel claims that dozens of regime tanks were destroyed during the regime’s offensives in Hama and south western Aleppo during October 2015, as proof that the Free Syrian Army remains an effective fighting force. However, all is not as it may seem. Social media has been full of claims and counter-claims that the rebels are exaggerating the number of regime tanks that they are destroying with TOW missiles, and manipulating the video evidence. During the regime offensives in Hama province and south west Aleppo province, in October 2015, propaganda about TOW tank kills was crucially important for establishing a narrative of rebel success against a backdrop of successful regime offensives into rebel-held territory. Among the more extravagant reports were claims that the rebels had destroyed as many as 17 tanks in Hama province on the 7th of October alone. Whilst another rebel source claimed that 36 tanks had been destroyed in Hama province between the 6th and 11th of October. The so-called Hama “tank massacre”, has been widely accepted as fact. In response, pro-regime propagandists began to spread a counter-narrative, that TOW missiles are not always destroying their targets, and that the rebels are actually claiming a large number of failed TOW hits as tank kills. As evidence, they cite the fact that in many cases there is no evidence of a secondary explosion or fire in the target tank, making it impossible to determine whether it had actually been destroyed. It is also the case that the Syrian Army, supported by Russia, has also gone to significant lengths to try to minimise the TOW threat. There have been reports of Syrian special forces TOW-hunting teams, Russian airstrikes on the HQs and storage facilities of units that deploy TOW, the application of additional armour to regime tanks, and the deployment of the Russian Shtora ATGM system, which disrupts laser targeting, on regime tanks in southern Aleppo. Given that all TOW attacks are filmed, analysis of videos that purport to show TOW tank kills during the Hama and Aleppo offensives in October 2015, can help us understand the position, and provide an insight into opposition propaganda regarding the TOW. A total of 39 videos that purport to be tank kills have been identified for analysis. For the purposes of this article, 2S1 Gvozdika self-propelled artillery is categorized as tanks, but BMP and ZSU-23 are not. An initial review of the videos raises some broad question marks over the authenticity of some of them, and hence the rebels broader claims about the number of tank kills. Standard rebel practice is to have at least one camera on the TOW operator and at least one camera on the target. The videos are then produced by editing together sections of footage from each camera. Many of the videos are also of poor quality, partly because they were filmed at a significant distance. This provides significant opportunities for fraud. Further analysis identified two distinct types of fraud. The first type is editing footage of a TOW launch together with footage of a hit from another time or location. One video from Aleppo province dated the 24th of October shows a TOW launcher overlooking an urban setting, before cutting to a target in an apparently rural setting. It might be the same incident, but it is impossible to know for sure. A more obvious example is a pair of videos from Aleppo province on the 19th of October which show two different TOW operators, in different locations, cut with footage of the same TOW hit. The second type of fraud is editing different sections of footage from a launch and the associated hit, together in such a way that it appears to be different attacks. There is evidence of this happening in two videos of the same incident in Hama province on the 9th of October. This small number of fairly obvious fakes gives cause for concern that other videos might not actually show what they purport to. There are also question marks over footage of a TOW hit reported from Hama province on the 23rd of October, because the TOW operators, from the Sultan Murad Brigade, can also be seen in videos of battles in Aleppo province on the 17th and 20th of October. It is possible that they were re-deployed from Aleppo to Hama, but the Aleppo front was under more pressure than the Hama front in late October, and had fewer deployed TOW operators to start with. However, the video from the two Aleppo battles is badged as being the Sultan Murad Brigade, whereas the footage of the Hama incident is not, suggesting an attempt to conceal the identity of the TOW crew. The re-deployment explanation therefore seems unlikely, but it is impossible to know for sure. The other problematic issue is that of missing videos – the cases where rebels claim to have destroyed tanks but have not published video evidence. For instance, during the successful rebel counter-attack on the village of Abtin in Aleppo province on the 17th of October, reports stated that a TOW crew from the Sultan Murad Brigade had destroyed 4 tanks, along with three successful hits on other targets. However, the Brigade only published 3 videos of the battle, which it claimed showed tank kills. One of these videos shows a Gvozdika being destroyed by a secondary explosion, but in the other two the targets are so far away that they cannot be positively identified. The absence of the 4 videos does not necessarily disprove the Sultan Murad Brigade’s claims, but nevertheless raises question marks given that those videos must exist if a total of seven targets had been attacked that day. The author has located a total of 39 videos that purport to show TOW tank kills in Hama and Aleppo provinces during October 2015. Of that total, two have been excluded as duplicate hits (as mentioned above), in seven cases the target cannot be identified because it is too far away, making it impossible to either identify it as a tank, or that it was a kill, and in a final case the target can be clearly identified as a BMP rather than a tank. This leaves a total of 29 potential cases to consider. In only 7 cases is the target tank demonstrably destroyed by a secondary fire or explosion. In these videos, the cameraman films the target tank for a significant length of time after the TOW hit, waiting for, and filming, the secondary event. It is assumed that the cameramen following each TOW crew remain filming the target after the hit, given that the secondary event can sometimes occur a little while after the initial TOW hit. 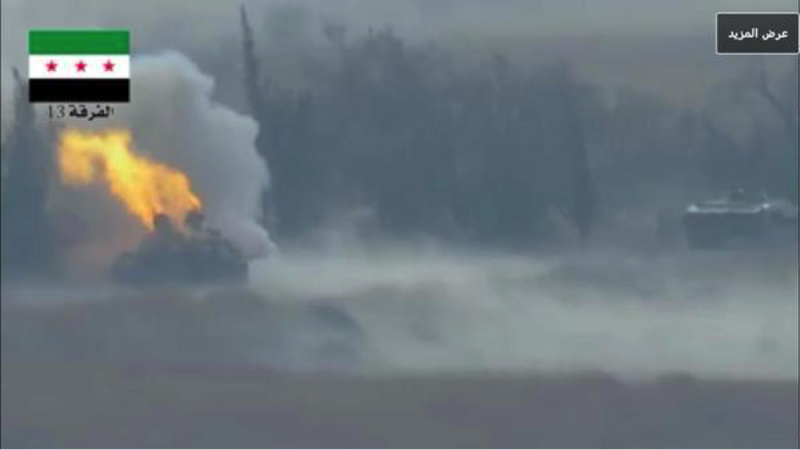 In the remaining 22 videos, no secondary explosion or fire is evident in the target tank. The cases in which there is no secondary explosion or fire are generally edited in ways that distract the viewer’s attention from that fact. In some, the video stops immediately after the TOW hit. Having just viewed a dramatic missile strike on a tank, this leaves the viewer with the impression that the tank was destroyed. In others, a close up of the TOW warhead explosion is edited in at the end of the video immediately after the initial footage of the hit. These close ups, are significantly more dramatic than the preceding footage of the hit, again creating an impression of a devastating event that must have destroyed the tank. Given that these targets continued to be filmed after they were hit, the most likely reason for not including that footage in the published video is that it is problematic for claiming that the target was destroyed. Certainly in 8 of these videos, the target can be seen moving after the TOW hit. From the video evidence it is impossible to know for certain how many of these 22 tanks were definitely destroyed, or what level of damage they might have sustained. Our ability to get to the truth is further hampered by the lack of evidence coming from the regime about tanks surviving TOW hits. 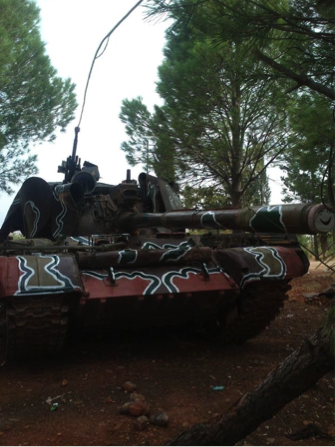 There was only one instance of a pro-regime source presenting an image of tank, with additional armour, that is claimed to have survived a TOW hit (pictured below). Besides the tanks themselves, the fate of their crews is also a significant issue. In a number of videos it is clear that crew escape destroyed or damaged tanks. In addition, a number or the videos are not shot during battles, so it is unclear whether the crew are even inside the tank when it is hit. In 2 of the definite tank kills, crew can be seen escaping the burning tank. Crew members can also be seen escaping 4 of the other TOW hits. The fact that trained tanks crews are surviving is significant because they can be quickly returned to the battle, as long as the regime has replacement tanks available. In the videos where there is no footage of a secondary explosion or fire, destruction of the target could have been proven beyond doubt by close up footage of the destroyed tank. However, this is almost entirely absent from the videos, because generally speaking, the regime has been advancing in the Hama and Aleppo offensives. This has meant that the rebels have not controlled the locations where a strike has taken place. However, there are two documented exceptions. The most notable example was the successful rebel counter-attack on the village of Abtin in Aleppo province on the 17th October. Having re-captured Abtin, the Sultan Murad Brigade’s cameramen had an opportunity to film footage of the allegedly destroyed tanks but it didn’t, and the brief footage of rebel forces entering Abtin that is available, does not show any destroyed tanks whatsoever. A second instance, which occurred in Aleppo province on 23 October, shows a T-72 being hit on its frontal armour, but no secondary explosion or fire. In an effort to rebut the pro-regime propaganda, the rebels made a further video in an effort to prove that the tank had actually been destroyed. The video, which provides close up footage of the tank, shows that it remained in situ after the TOW hit, and contains a corpse. Significantly though, it does not show the tank’s fontal armour, and there is no apparent damage whatsoever to the tank. The picture is further complicated by other combat footage from the battle in which the incident took place. The accompanying text to the video states that the tank was already disabled before it was hit by the TOW. So whatever the truth, the video is unconvincing evidence that the tank was either disabled or destroyed by the TOW. The available video evidence does not support the more extravagant claims made in rebel propaganda about the Hama tank massacre on the 7th of October. Video footage of only 11 TOW hits has emerged, only 2 of which are definite kills. In 7 cases it is impossible to ascertain whether the tank has been destroyed, and in 2 cases the target is not identifiable from the video. Video footage shows a further tank being hit by a Russian Koronet ATGM, which also does not experience a secondary fire or explosion and the crew escape. The video evidence suggests that rebel claims about the number of tank kills cannot be taken at face value. But whilst the video evidence does not corroborate the number of tank kills claimed by pro-rebel propagandists, neither does it necessarily disprove rebel claims. However, the rebels’ failure to provide video evidence of destroyed tanks, coupled with the fact that they felt the need to fake at least some videos, strongly suggests that they were claiming to destroy more tanks than was actually the case. In the absence of definitive evidence, it is perhaps reports from early November, that the rebels are now being supplied with the TOW 2B variant, which provides implicit confirmation that the rebels have been exaggerating the number of tank kills. These reports were soon followed by reports that Russia had begun supplying the regime with T-72B tanks, in an apparent effort to nullify the rebels’ improved anti-tank capability. As a result, this cycle of claim and counter-claim about future about rebel tank kills looks set to continue.